After getting back from a busy week of camp and early professional development, I was happy to return to Charleston, smell the ocean air, and dream of going to the beach. On a trip to Sullivan’s Island I stepped foot into one of my favorite stores to be faced with utter shock. They were setting up their back to school aisle!!!!! Target, why do you hate me? When I was young, I LOVED back to school shopping. When I am really honest with myself, I will admit this magical feeling still resounds within me today. An illusion that all of my marker tops will stay on, and my classroom will look the same way it does on the 1st day as the 180th… yeah right! I was able to sit with a group of my high school friends last night and we were looking at the last two years in review (two are now in the medical field and one is a lawyer). “Billie Ann, how was your school year last year and what are you going to do on your summer off?” (Yes, I am the token teacher of the bunch). I preceded to tell them about my year and how amazed I was that when I went looking for a side table for my outside patio seating on the way to the beach, I was faced with the ugly truth that Target was setting up their back to school aisle. The group of ladies smiled and recounted how they felt when they were able to go purchase their new pens and notebooks and gear up for a year of possibilities. We all came from middle class families that didn’t mind spending 50 cents more on a Lisa Frank folder instead of a plain blue one. It’s funny how those “fancy” notebooks fall apart just as fun as the plain ones do. 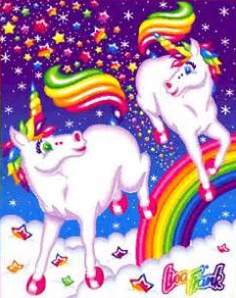 But what if your parents couldn’t buy you those nice shiny Lisa Frank notebooks? What if your family couldn’t even afford the bare minimum that the schools require? Well, what if your school provided you with one of the only tools you would need for the school year. An IPad. Sure, this device must be taught to be used as a tool and there will still be a need for a few pencils (for now!). Ipads level the playing field for all students and make learning and opportunities fair. They also won’t fall apart in less than two months and you can use them year after year. Last week, I was able to tag along with an Apple Distinguished Educator as she presented at multiple venues. Some of the questions and comments that arose were the same. Ipads are too expensive for my school. My solution to this problem? Look at your school’s copy costs and divide by two. That is what Ipads will save you at least. Use that money to invest in Ipads and your students. Try out one pilot classroom within your school. That’s what my school did. Track the data and see the transformation within one classroom. Title One school? Use an allotment of that money to fund a few pilot classrooms and then analyze the same data. I believe your behavior issues and costs will be reduced drastically in one school term for those classrooms you choose to pilot… our did. If you are an affluent school and have the funds to purchase iPads for every child, then what are you waiting for? Are you scared that your teachers are not ready, or you are unsure which teachers should have the pilot classrooms? I and other fellow teachers hear your pain. We were handed these tools with little to NO PD, but we figured out how to maximize results and now we are here for you. Contact us and set up a tour through a classroom that utilizes Ipads appropriately! What are you waiting for? Target is already setting up their back to school shopping supplies, so what will you invest in this year? Cheap folders that will fall apart in the first quarter or a tool that you can use for years that will inspire and motivate students and teachers alike!